Molding the warmth of natural wood with the modern feel of iron, the Circa Shelf will create visual interest and appeal in any room of your home. 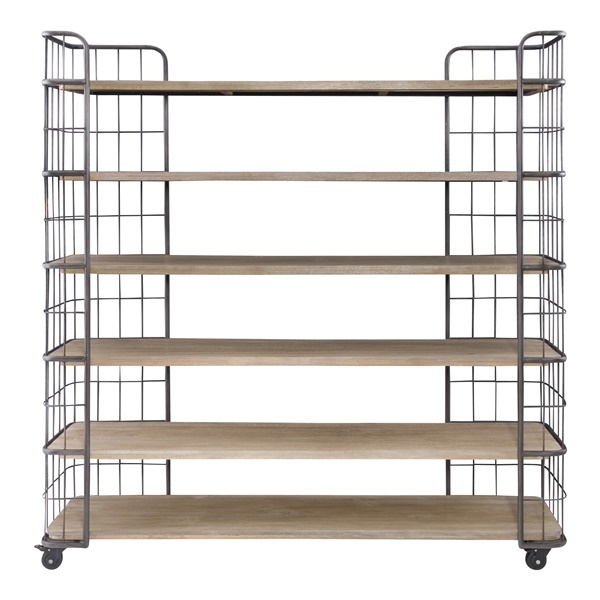 The iron frame features a wire cage design that houses six shelves, providing sufficient room to display your most cherished belongings. In addition, the black finish furnishes a beautiful contrast against the wood, while rolling caster facilitate easy mobility. A charming piece in any interior space, this shelving unit looks ideal on its own or when complemented with other available items from the Circa line.